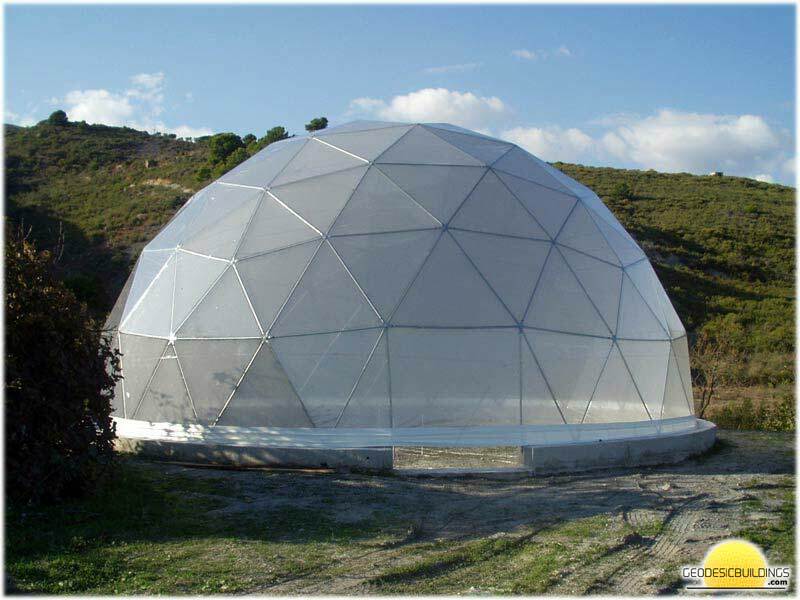 Once your dome is set up and ready to go, you might want to cover it for decoration, insulation, structural strength for housing or storage or even keeping livestock, to name just a few of the possibilities. Looks great, shower proof, cheaper than PVC and canvas but not as heavy duty and long lasting. Available in many different colours. Another simple and cheap way to cover your dome, parachute silks can impart a touch of class and can look very impressive when lit up at night. We don't sell parachute silk, you might find some on ebay for example, click here for a current auction listing on Ebay. Some of the best ecological utilisations of the properties of geodesic domes fall into this category. We can help if you're planning a more permanent structure, geodesic domes have been successfully used as houses, garages, greenhouses stables and stores for many years now. See our dome homes page for more details. Our domes come with full architectural reports meeting safety standards for insurance & planning purposes. Contact us for more details. Expanded polyurethane is a type of insulation foam used in the building industry that hardens into a lightweight but very strong material. This can be sprayed onto a simple cloth cover with metal mesh to bind it together. Then the foam can either be painted to protect it from the sun or rendered & painted. The frames when used as shuttering, covered with wood can be used with gunite (sprayed concrete).